According to the New Brunswick Department of Natural Resources, 3,728 moose were killed by hunters in the province during the 2015 hunting season which took place from Sept. 22-26. Many of these successful hunters (and their friends and families) will be enjoying moose meat during the coming year. It will be fried, roasted, bottled and included in meat pies and stews. I’m not a hunter, but my father was. My brother is a hunter today, as are some cousins. Many of my uncles and my father’s friends were hunters, too. Among the many photos stuffed into a drawer in my parents’ dresser were ones of my father and his buddies posing with their various trophies: moose, deer, rabbits and trout. I didn’t think much of it back then. We ate everything he hunted or fished. It was normal. But then he brought me hunting. We went for partridge in Albert County, if I remember correctly. I can’t remember how old I was. Maybe 12? Anyway, the experience was absolutely horrifying to me. I shot the gun but missed, thankfully. Why would I want to shoot an innocent bird who was just minding its own business in the woods? I didn’t see the point. Hunting wasn’t so appealing to me after that. I certainly don’t think it’s inherently cruel or inhumane as long as it’s done right. And it’s definitely essential – as much as possible – that all parts of the animal be used. I remember my father even had a hat made out of moose fur once. It was his pride and joy, and he wore it for years. Perhaps I’m a hypocrite. I don’t mind eating hunted animals, but I just don’t want to be there when it happens. For sure, I certainly don’t want to be the one pulling the trigger. New Brunswick is not lacking in moose. According to biologists with the provincial Department of Natural Resources, there are still about 32,000 adult moose in the province’s forests. That’s 32,000 huge animals who don’t seem to care if they wander across highways while we’re driving by. When I worked for the RCMP years ago, one of the officers told me that the worst car accidents are usually those involving moose. The accident scenes are particularly gruesome. Thankfully, I’ve only seen a couple of moose on the side of the road when I’ve been driving. Each time, I’ve been awed by their sheer size. They are behemoths! How big they are cannot really be believed until you’ve driven by one lounging in a ditch next to the road. After that, you’ll never want to see another one again. The novelty wears off pretty quickly. Natural curiosity turns to authentic terror instantaneously. If you’re ever in a car with someone who’s never seen a moose beside (or on!) the road before, they’re probably pretty nonchalant about it. “I’d like to see a moose,” they’ll say. You’ll reply, “Oh no you don’t! They’re huge!” And they’ll probably just snicker like they don’t believe you. Thirty seconds after driving by one, however, look over at the other person in the car and their hair’s suddenly turned gray and is stuck out like they’ve just taken a bath with a plugged-in toaster, their eyes are bugged out of their head like they have some horrible disease and the bottom of their jaw is touching their chest. “Drive faster,” they manage to croak out, the smile wiped from their face. “I want my mommy.” Not so brave now, eh? It’s understandable. We’ve all been there. Until you see that first monstrous creature on the side of the road, it’s all fun and games. After that, you can do without. My mother asked my aunt the other day if she wanted some moose meat for her Christmas meat pies from my brother if his hunt was successful this year. The answer was an emphatic no. No one would eat the meat pies if my cousins knew they had moose in them, she thought. Well, we had moose meat (and bunnies!) in our Christmas meat pies growing up, so her kids (my cousins) had some whether they knew it or not. Muahaha! It always amazes me how huge moose live in the forests basically unseen until they linger by the side of the road or end up in a hunter’s slow cooker. 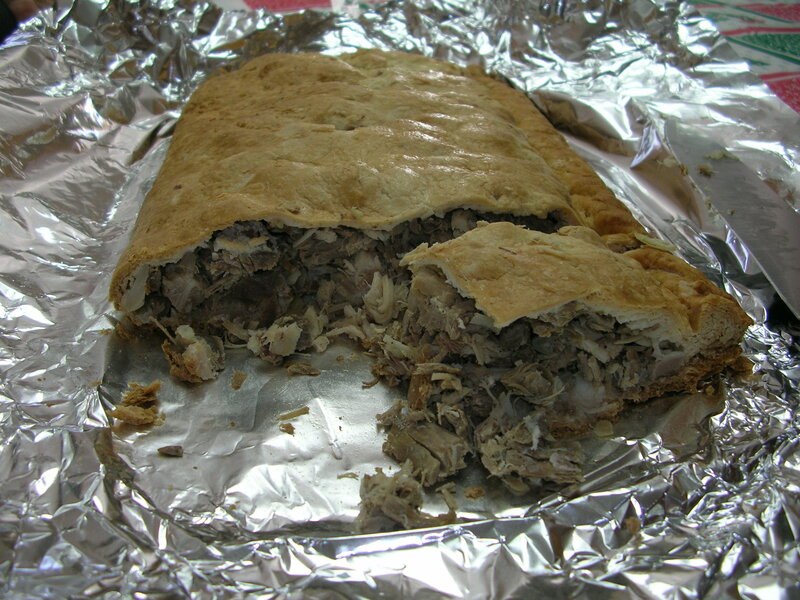 I only hope that the next one I see is cubed up inside one of my mother’s Christmas meat pies along with the pigs, chickens, cows and bunnies. Better there than through my windshield! 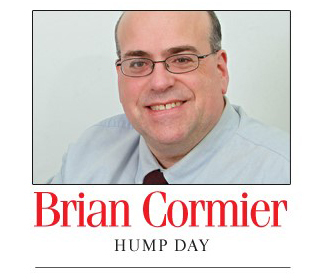 ← The Sept. 28 – Oct. 4, 2015, edition of Brian Cormier’s Weekly Update is out!